Jack Lew, President Barack Obama’s Treasury Secretary nominee, previously held up to $100,000 in investments in an offshore hedge fund located in the Cayman Islands, according to financial disclosure forms. Lew’s financial disclosure forms, filed in 2009 and 2011, showed that Lew had invested between $50,000 and $100,000 in a fund called Citigroup Venture Capital International Growth Partnership (Employee) II, L.P. -- the very type of fund President Obama has repeatedly criticized. The fund is an international venture capital fund for employees of Citigroup. According to his official White House biography, Lew served as managing director and chief operating officer of Citi Global Wealth Management and then Citi Alternative Investments (CAI) from 2006 to 2008. 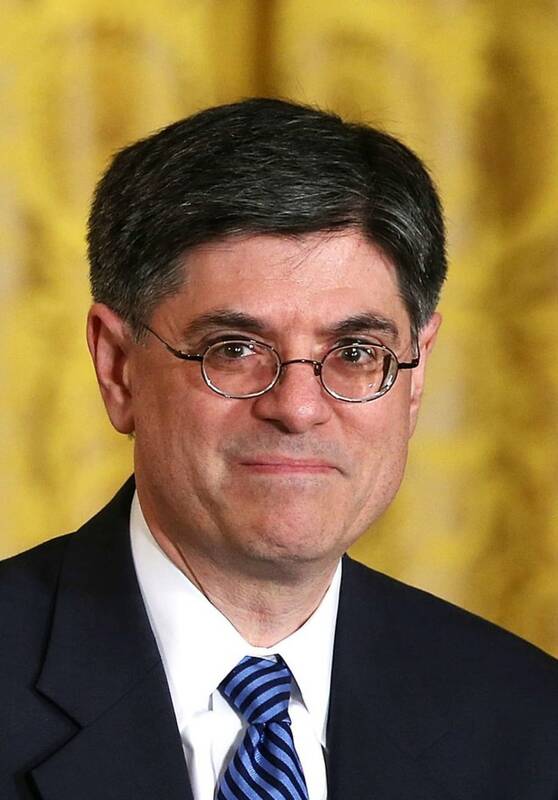 Lew himself isn't commenting, but a person familiar with Lew’s investment told NBC News that Lew invested a total of $56,000 and sold it at a loss for $54,418 in November 2010 after being confirmed as director of the federal Office of Management and Budget. The source also told NBC News that Lew had no role in creating, managing or operating the fund, and that Citigroup had organized the fund in the Cayman Islands and made it available to other employees. The source said that many other Citigroup employees had investments in the fund. According to a Securities and Exchange Commission document, the fund was registered at what has been called a notorious address in the Cayman Islands, located in the Caribbean in the British West Indies. Specifically, the fund’s address was a post office box in a building called Ugland House, in the capital city of George Town on Grand Cayman, the largest of the three Cayman islands. In 2007 as a presidential candidate and in 2009 as president, Obama identified Ugland House as part of an outrageous tax scam, because according to filings, it housed 12,000 businesses that all claimed the building as their headquarters. “Jack Lew paid all of his taxes and reported all of the income, gains and losses from the investment on his tax returns. The existence of Mr. Lew’s investment is not news to the Senate. “Mr. Lew disclosed the investment in his prior confirmations, before three separate committees, for Deputy Secretary of State in 2009 and Director of the Office of Management and Budget in 2010, and he was confirmed by the Senate unanimously on both occasions. “Twelve Members of the Finance Committee, including five Republicans, were members of the three committees that previously reviewed Mr. Lew’s nominations. All three committees reported Mr. Lew’s nomination to the Senate unanimously. “Mr. Lew disclosed the investment to the Office of Government Ethics and to ethics officials at the State Department and OMB, including on his public financial disclosure forms, in connection with both of his previous confirmations. He played no role in creating, managing or operating the fund and he sold his investment in 2010 at a net loss. A Democratic spokesman for the Senate Finance Committee, which will hold a confirmation hearing on Lew’s nomination on Wednesday, said that Lew’s investment had come up again through its current vetting process, raised by both Republican and Democrat members. The spokesman said once the committee had looked into the matter, it had determined the investment was not an issue. The spokesman said Lew had been completely transparent and forthcoming through any and all questions that have been posed. But Iowa Sen. Charles Grassley, a Republican member of the Senate Finance Committee, disputed the Obama administration’s and the Democratic committee spokesman’s statements. Grassley noted Obama’s criticism of Ugland House-based investment funds came while Lew, now his Treasury Secretary nominee, had investments in one of those funds. Lew didn’t divest his Cayman Island investment until almost the end of 2010, when he was already working for the administration, and a year after the president publicly railed against such offshore accounts as tax havens. “The irony is thick,” Grassley said. NBC News' Ali Weinberg contributed to this report.